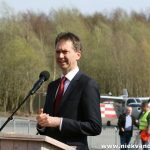 On Thursday 30 March 2017 Twente Airport was officially opened as a civilian airport. 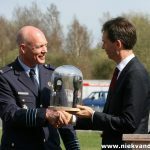 During a ceremony the authority was officially transferred from the Dutch Ministry of Defence to the Province of Overijssel. 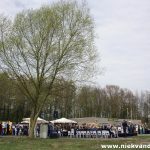 More than 250 guests attended the ceremonies surrounding this transfer of authority, one of them was Sharon Dijksma, secretary of Infrastructure and Environment. 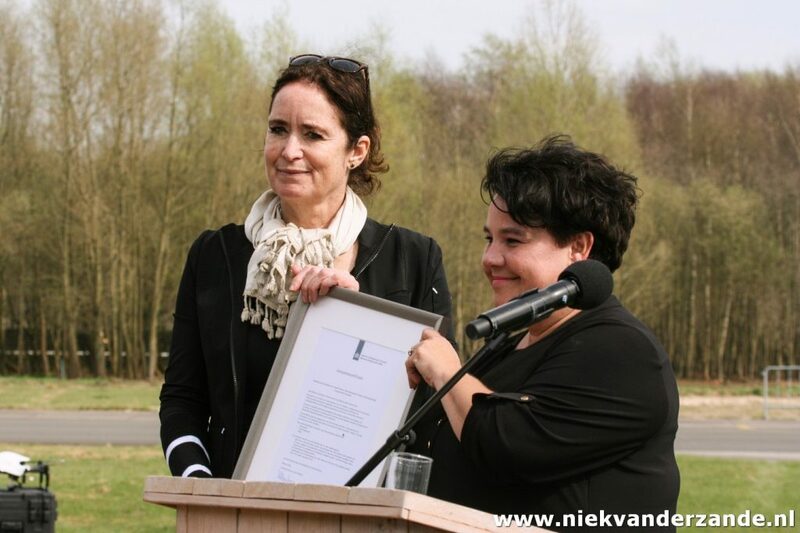 In her speech she referrred to the pioneering powers for which the Twente region is well known. 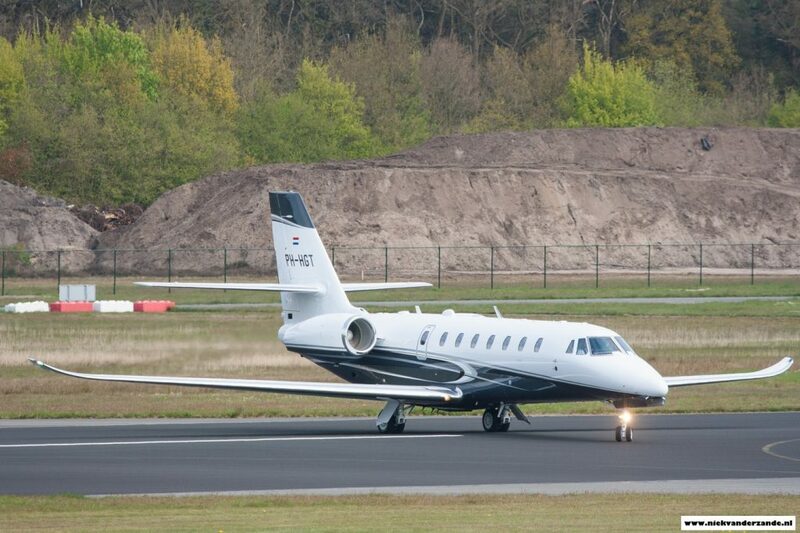 “Twente Airport will be a regional airport with regional characteristics and a national innovative agenda”. 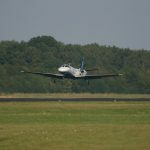 Twente Airport will focus on 3 aspects of aviation: business and small aviation, testing and the settling of aviation related companies. 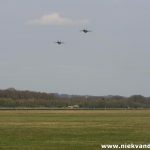 This was already shown earlier with several tests that were executed at Twente Airport (see The Runway is Wet and NLR Tests at Twente Airport) and after the opening the NLR also announced that it would start testing large scale drones at Twente Airport. The settling of companies has also started with AELS. 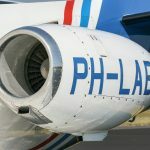 AELS is a company that specializes in the dismantling of aircraft and selling the reclaimed parts. 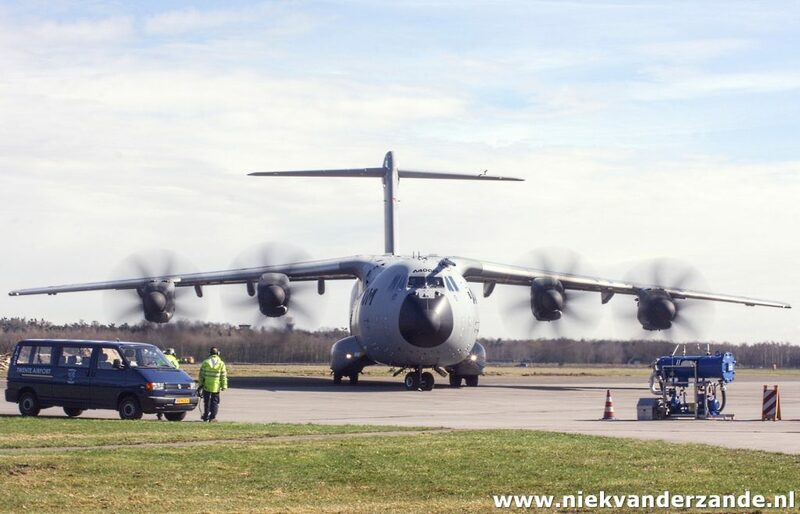 They will use Twente Airport as a location to dismantle wide-body aircraft, such as the Airbus 340 and Boeing 747. 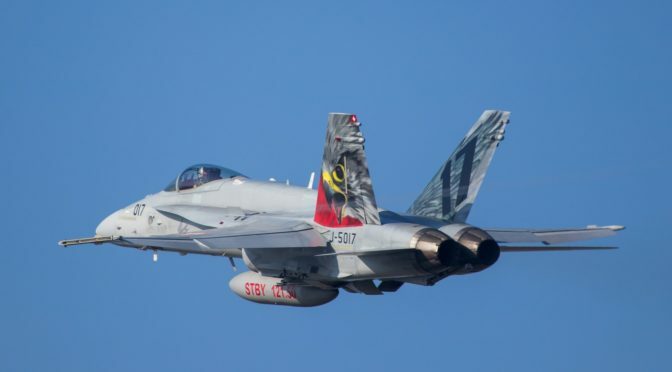 The dismantling of aircraft like this takes approximately 2 months per airframe. After a round-table discussion the moment came for Colonel J.P. Apon to officially transfer the authority to respresentative Eddy van Hijum. During this transfer the Koninklijke Luchtmacht said goodbye in a fitting way, two F-16’s made a fly-by over the runway that they had used for many years. 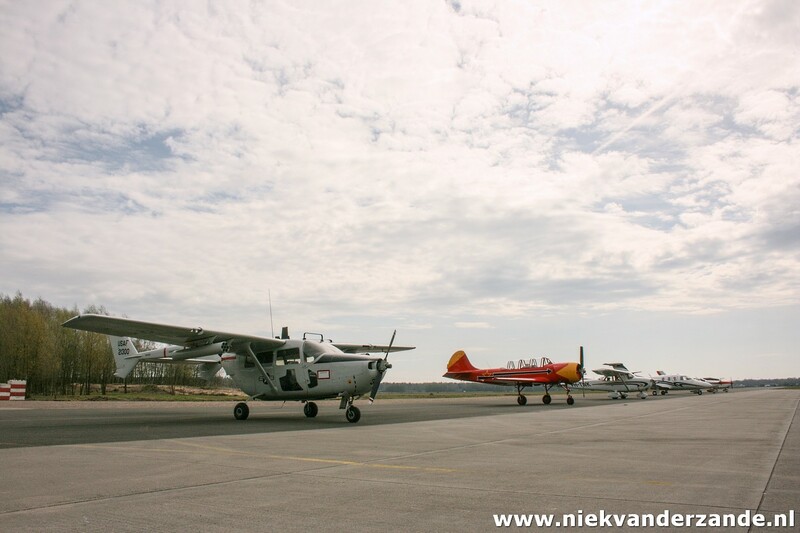 Earlier on the day several aircraft had already landed at Twente Airport to take part in the official opening. A special visit was made by a CH-47D Chinook from the Koninklijke Luchtmacht, it gave a small performance show for the spectators that had gathered on the Spotters Hill. 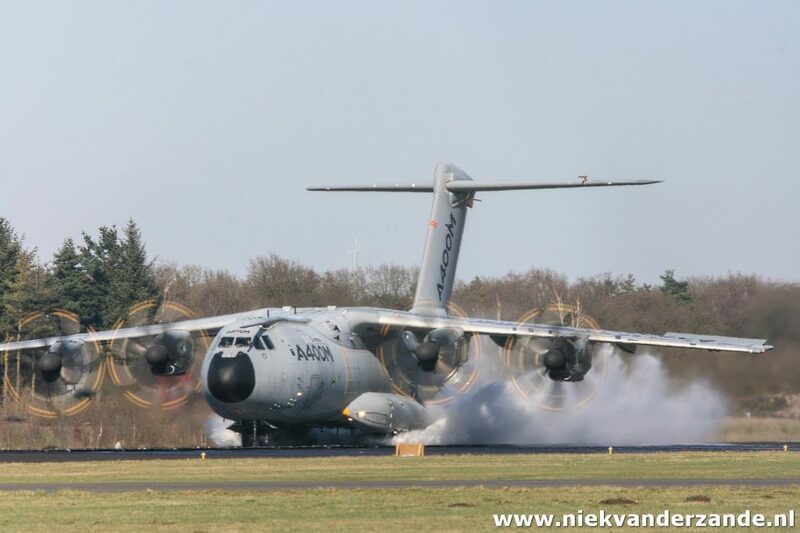 On 21 and 22 March 2017 Twente Airport hosted an Airbus A.400M to perform wet runway tests together with the Netherlands Aerospace Center (NLR). 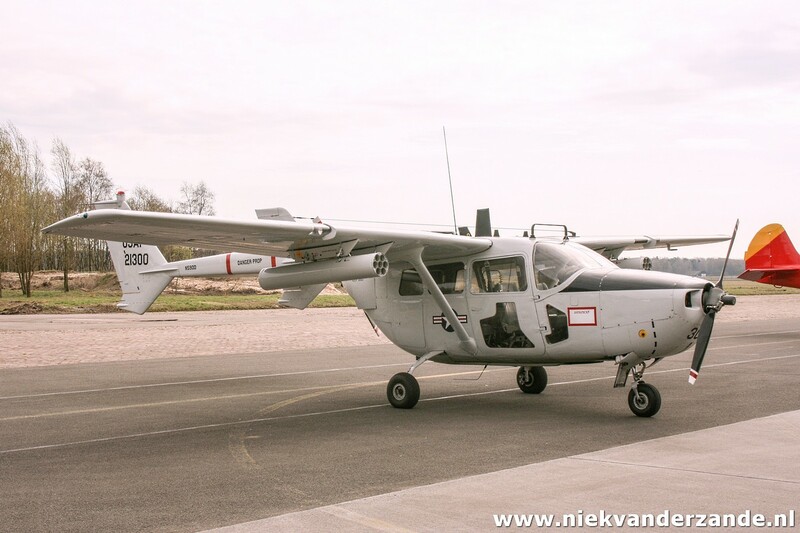 Niek van der Zande Photography was there to witness these tests. 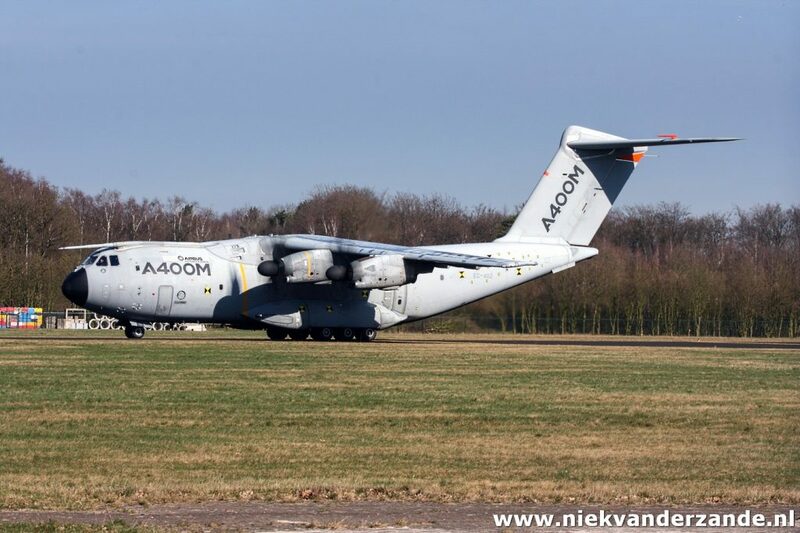 The A.400M waits at the platform for the next tests to begin. 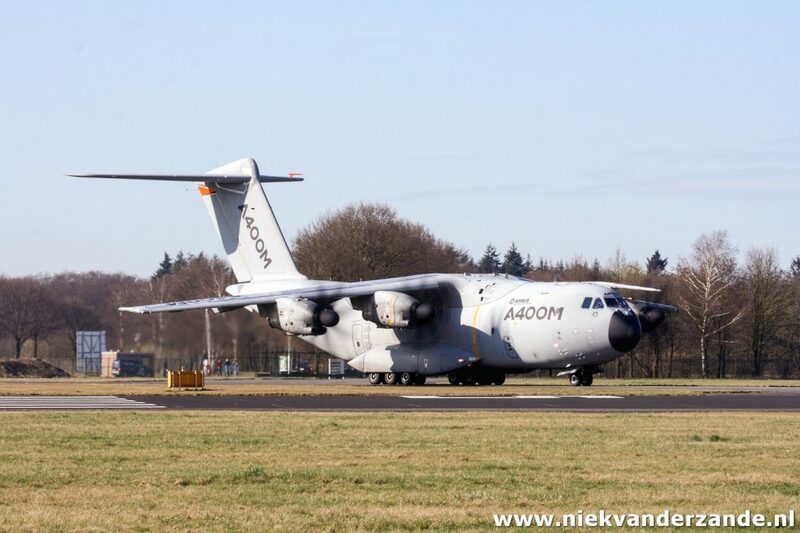 The fact that Airbus would send an A.400M to Twente only became known to the outside world on Monday 20 March, when a NOTAM (NOtice To AirMen) was issued and the Grizzly was airborne out of the facty airport in Sevilla, Spain. 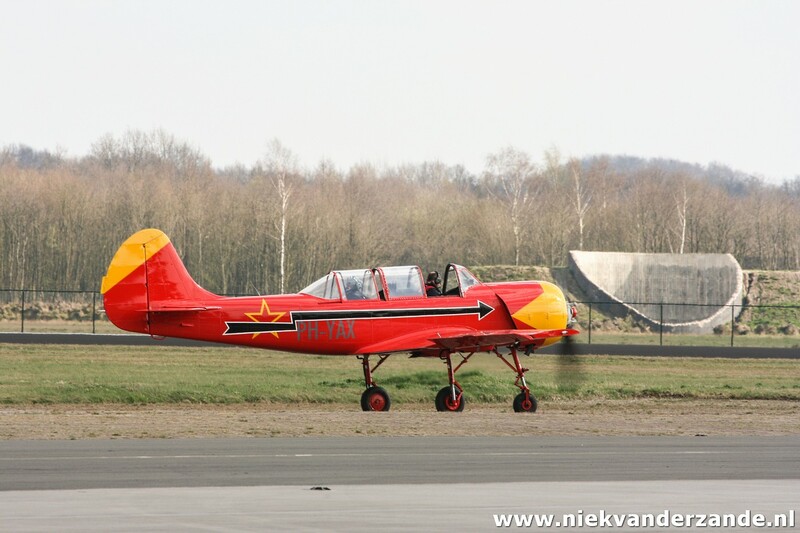 Twente Airport already knew of these plans for a long time, but was not allowed to mention anything before. The Grizzly’s crew is ready for another mission. 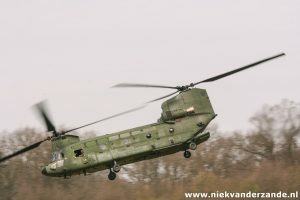 Upon arrival in Twente, the crew first circled the airfield for a considerable time, as the crew was not yet sure whether the meteorological conditions were good enough for them to land. 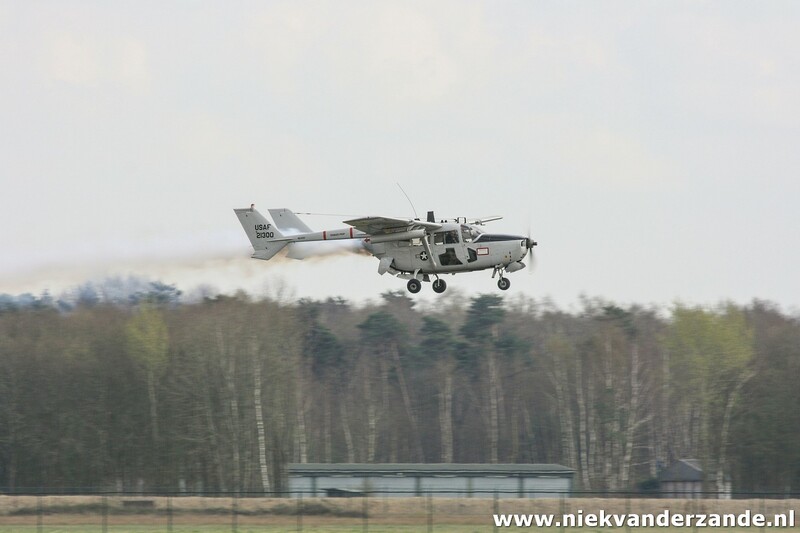 There are no ILS facilities in Twente, which means that conditions need to be good enough for a visual approach. 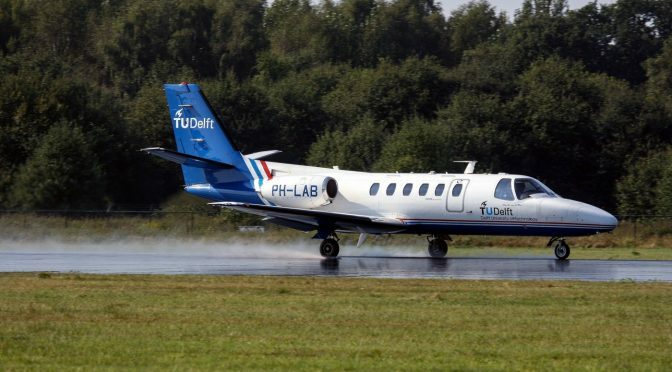 Luckily, Twente Airport has its own meteo station on site, so the most accurate information could be passed on to the crew, after which they considered it safe to land. 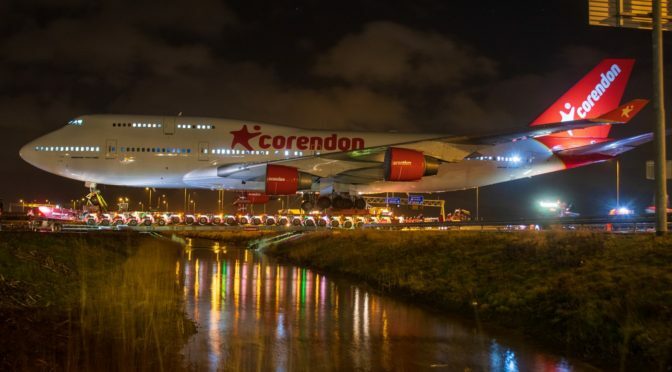 The reason behind this unique visit is that Twente Airport has the facilities to perform wet runway tests, something that cannot be performed just anywhere. 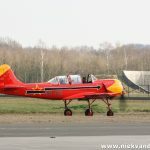 Twente has the unique situation that it has a long runway with the right surface. 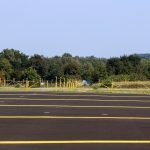 Next to that, the runway is prepared to create a water basin through which the aircraft can perform high speed taxi runs. 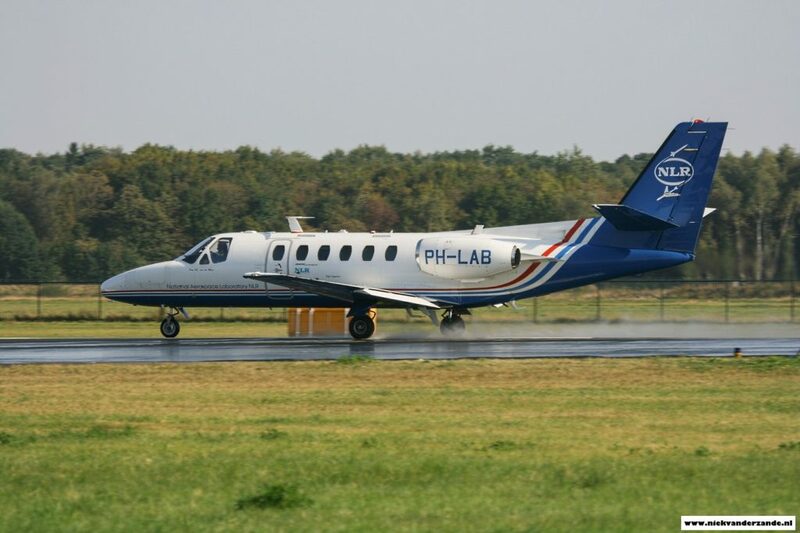 In 2016 the first tests were already performed with a NLR Citation ( see: NLR tests at Twente Airport ), these tests were now performed on a larger scale. For this a set of grooves of 1cm wide and 3cm deep were cut into the runway. In these grooves large rubber slats were inserted so that a basin was created. This basin could be filled up with up to 3 centimeters of water, which resembles a heavy downpour of rain during a storm. 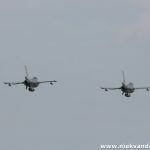 The Grizzly taxies out for another series of tests. 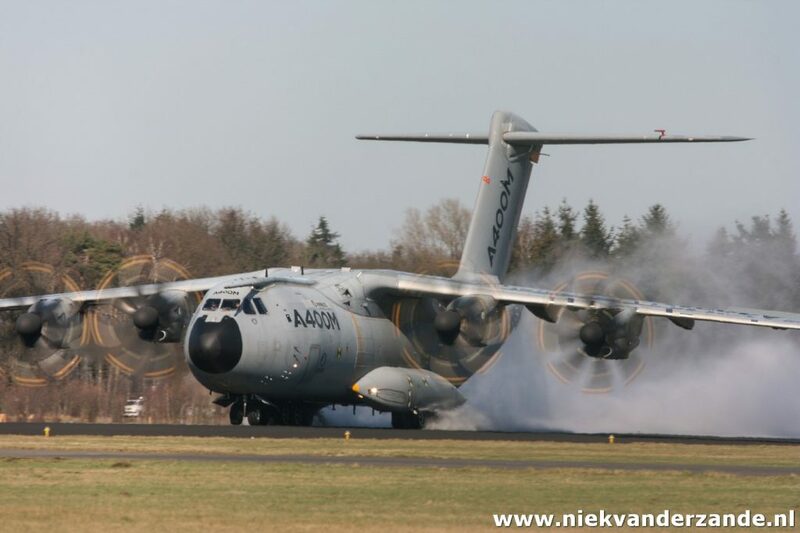 The A.400M then taxied through the water basin in order to measure the brake performance under various circumstances. 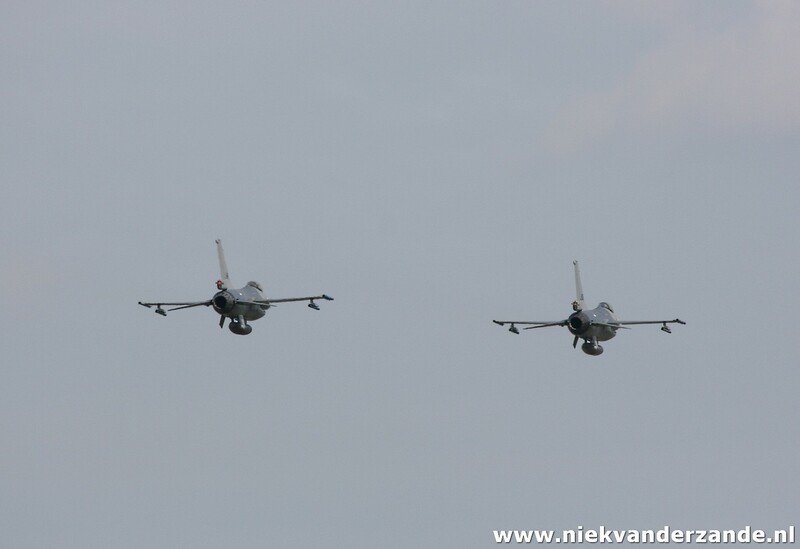 IN order to get a clear picture, a total of 16 runs were executed, all at different speeds and with different braking profiles. 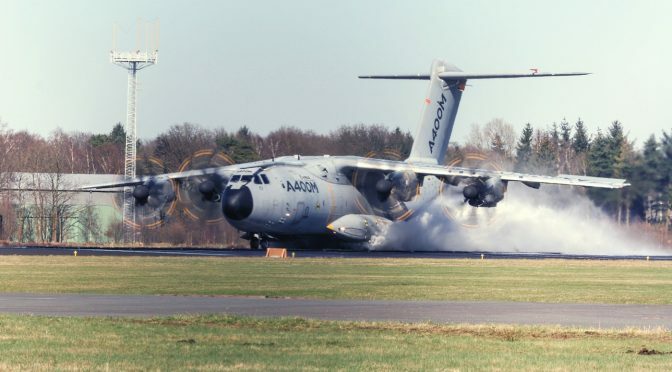 The maximum speed at which the runs were performed was 110 knots, which guaranteed a big splash of water around the aircraft. Splash! That’s the result of 8mm water on the runway. 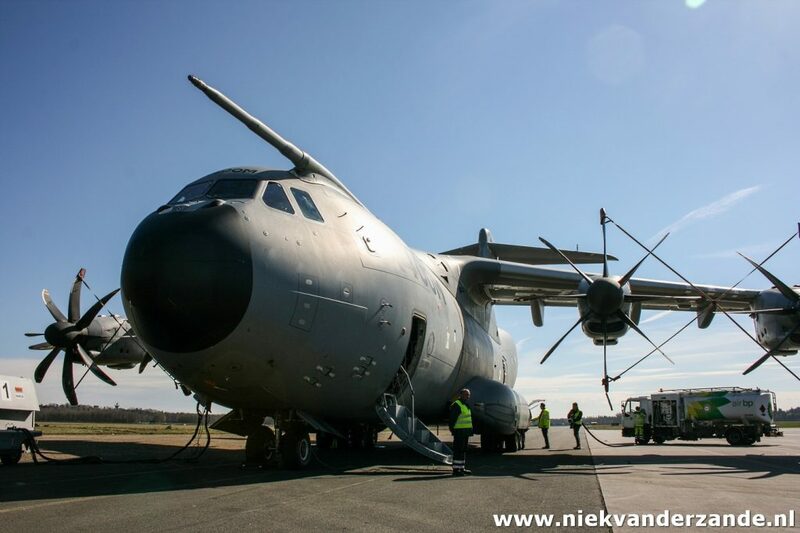 The tests themselves were initiated by the European Commission, in order get further information on aircraft performance under extreme conditions. These results will be used to further expand regulations and certifications and thus enhance the safety in aviation. 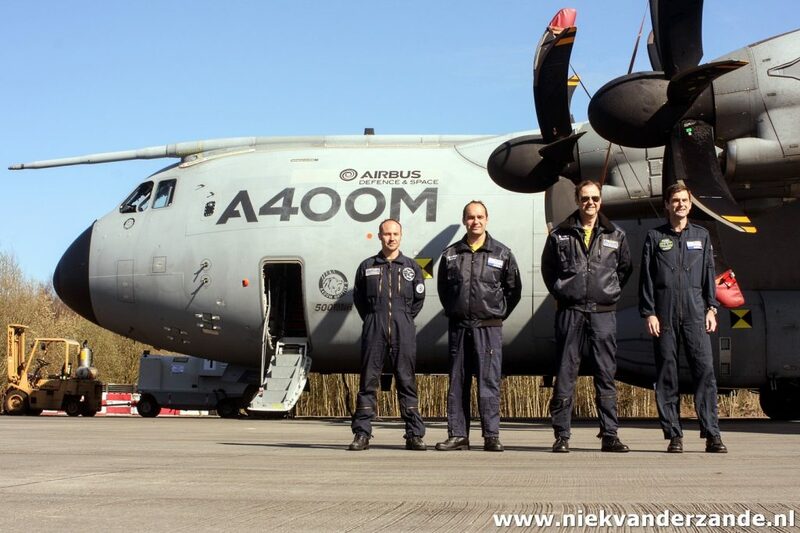 After this succesful series of tests, the A.400M left for Sevilla on Thursday 23 March. 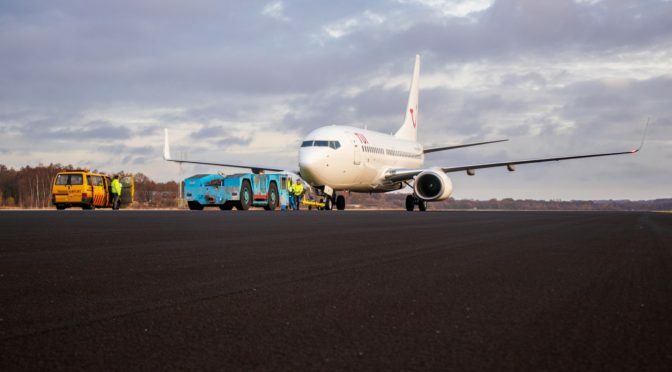 Twente Airport hopes to see more of these tests in the future, they are now talking to the Chinese manufacturer COMAC in order to see if tests with the COMAC C919 can be held at Twente Airport. 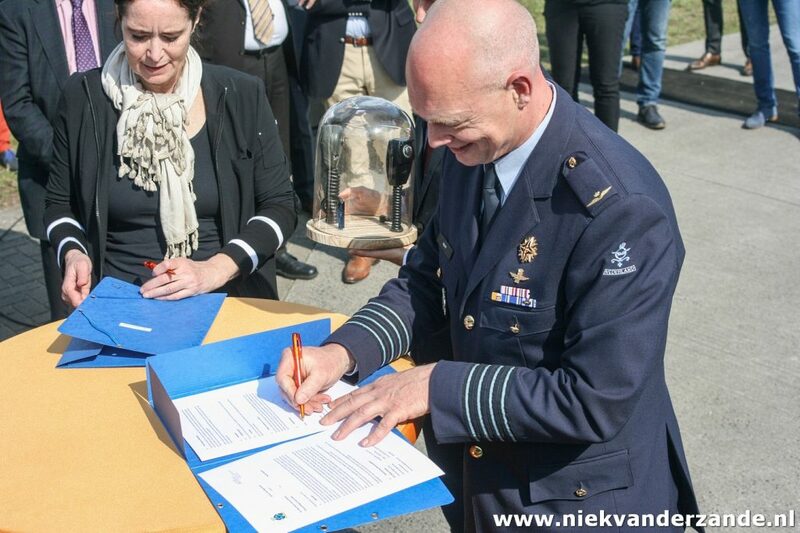 This will get easier when ownership transfers from de Dutch Ministry of Defence to the Province of Overijssel on the 30th of March 2017. 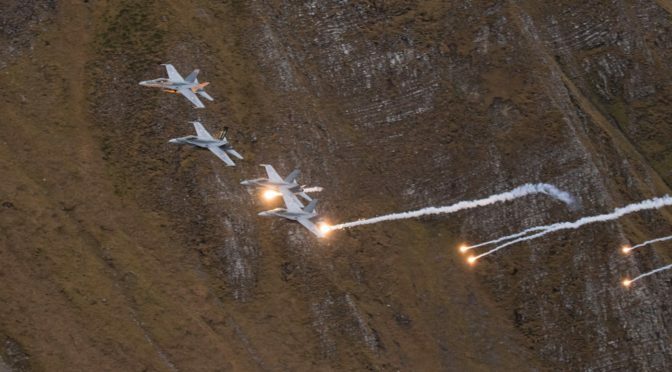 From then on the restrictions on the usage of the airfield will be lifted and visiting aircraft can be accepted at a 24 hours advance notice (24Hr PPR). 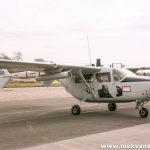 This 24Hr PPR was introduced since the airport does not have a fixed staffing of Air Traffic Control, Fire Brigade etc. These will be hired on a need-be basis. In order to facilitate operations outside of daylight hours, a GPS appraoch system will be introduced in the fall of 2017. 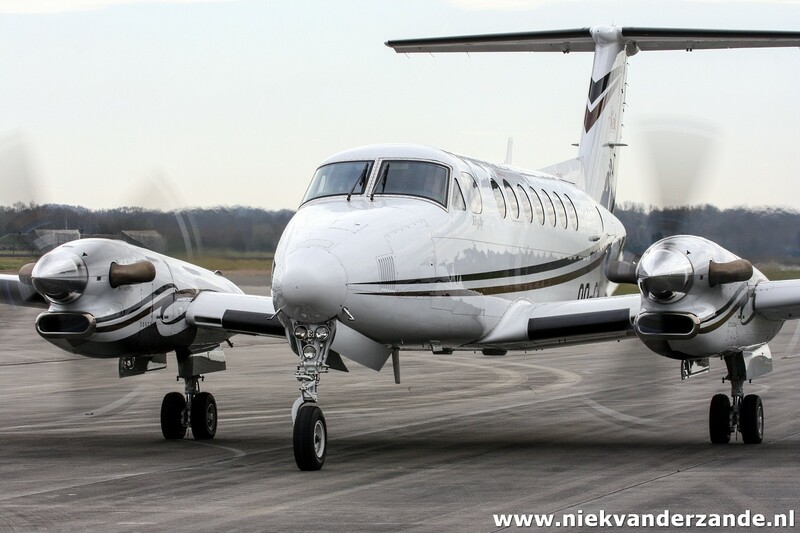 This means that pilots can fly to and from the airport under Instrument Flying Rules (IFR). 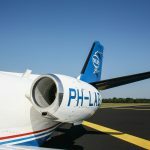 The Netherlands Aerospace Centre (NLR) has chosen Twente Airport as the location of several tests with it’s airplane, a Cessna Citation businessjet. 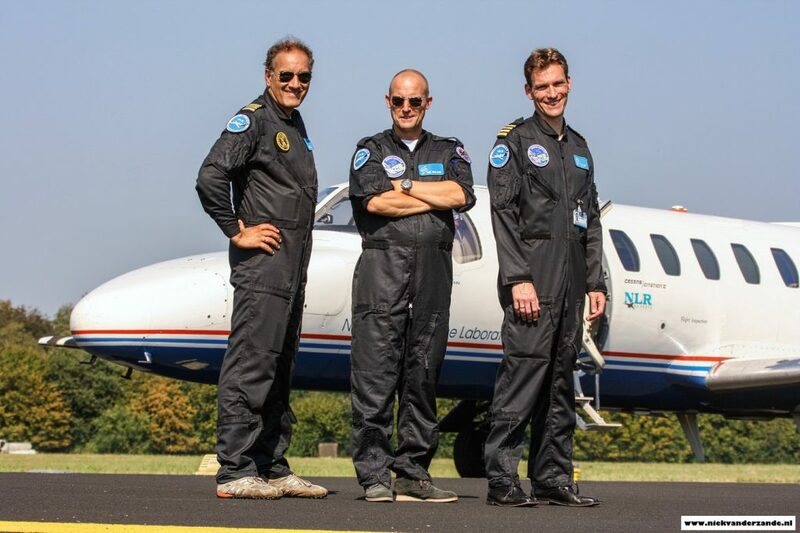 The NLR flight crew, ready for another mission. 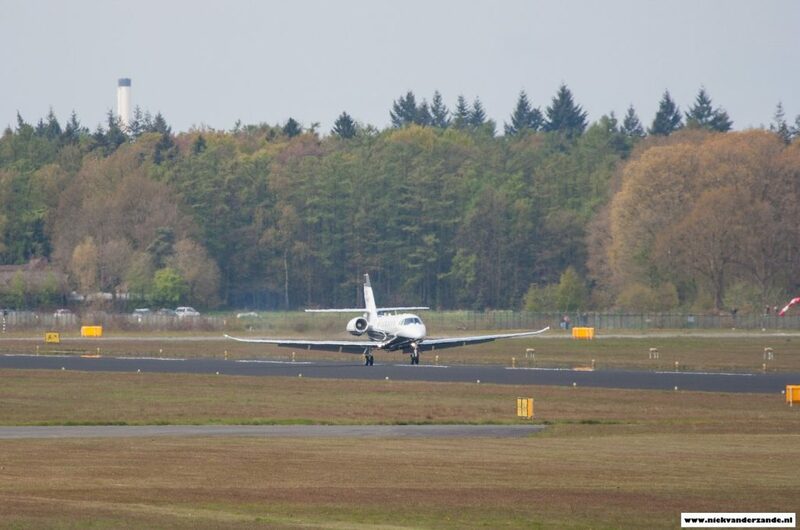 On the 13th of September brake tests were held, whereby the runway was artificially soaked. 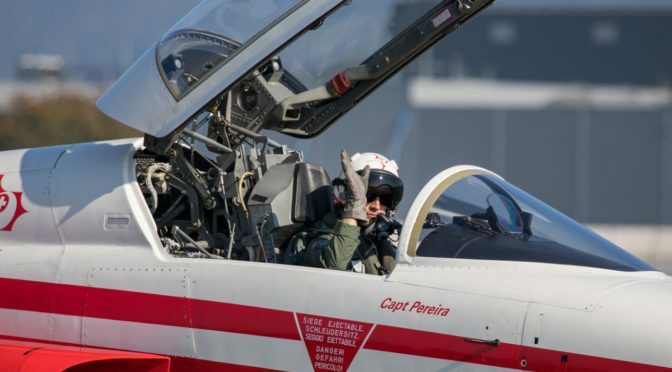 The tests will continue on 15 and 16 September, but now brake tests will be performed in a water basin, which will be purposely built on a section of the runway. 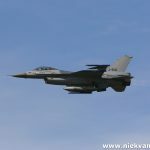 The NLR was looking for a location where some special tests could be executed; plenty of space and a runway with a special coating were required. 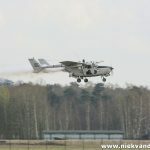 The top layer, Antiskid from the Possehl company, increases security when landing on a wet runway. These tests are held to measure exactly what the friction of the runway is in rainy conditions. 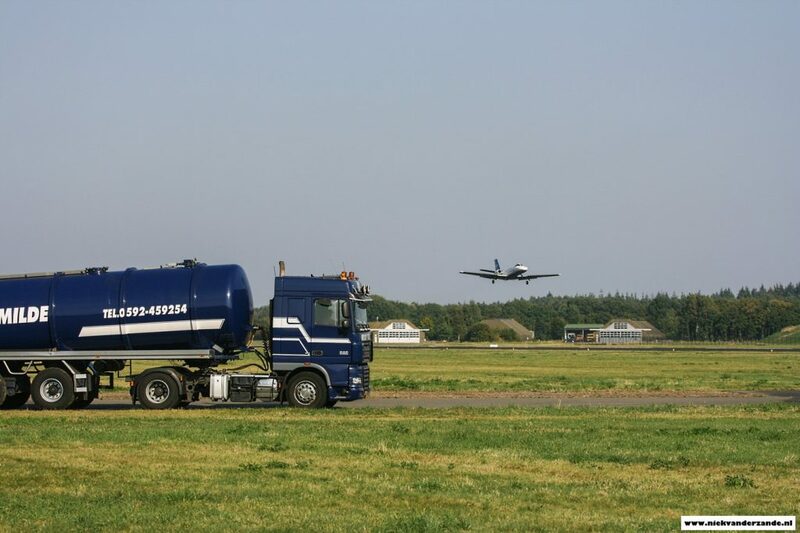 The runway will be soaked with the use of six large tanker trailers that will spray a large amount of water on the runway. 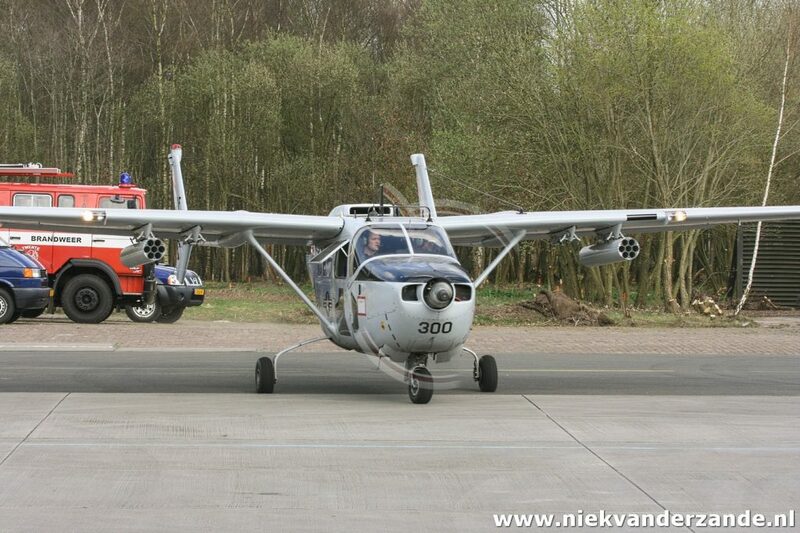 The testplane will then land shortly after. 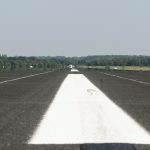 On 15 and 16 September another set of braking tests were performed but now in a so-called waterbasin, that will be constructed on a part of the runway. The amount of water in this basin represents the amount of water that can accumulate on the runway during a heavy downpour. 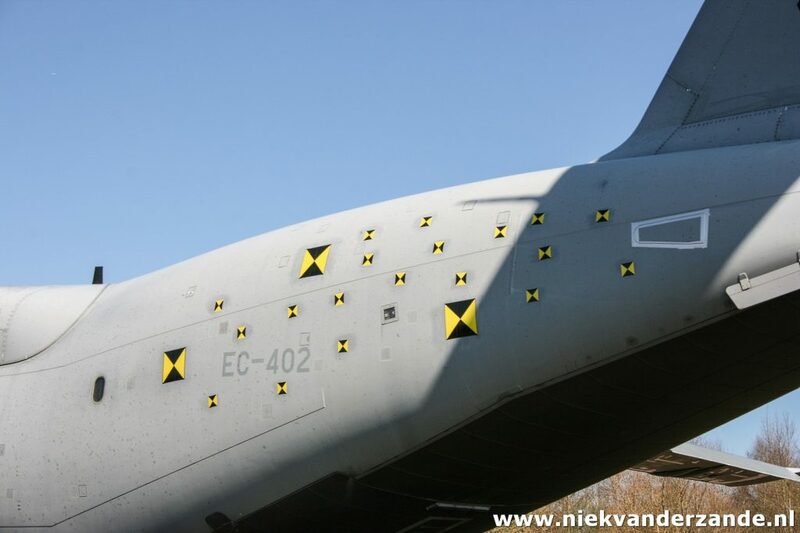 The purpose of these tests is to see how the aircraft brakes perform in these extreme conditions. The knowledge that is gained will be used to adapt rules and regulations, which will then in turn increase flight safety. 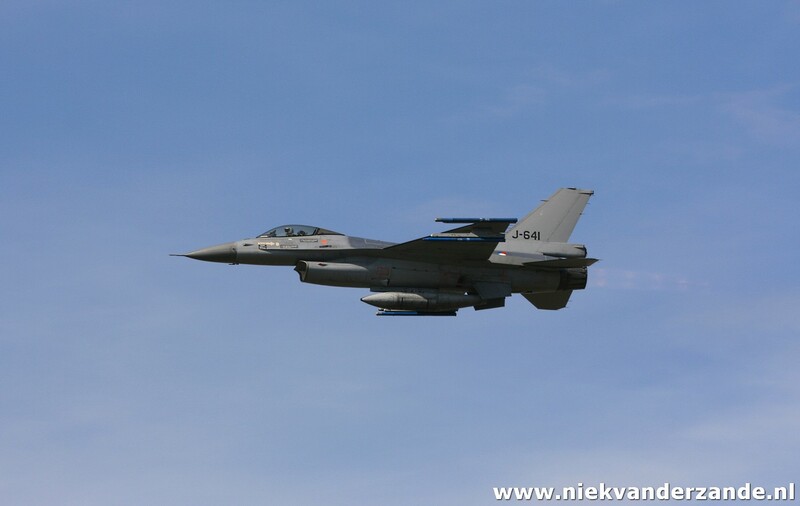 The tests on 15 and 16 September were performed in the light of a European study to increase flight safety. 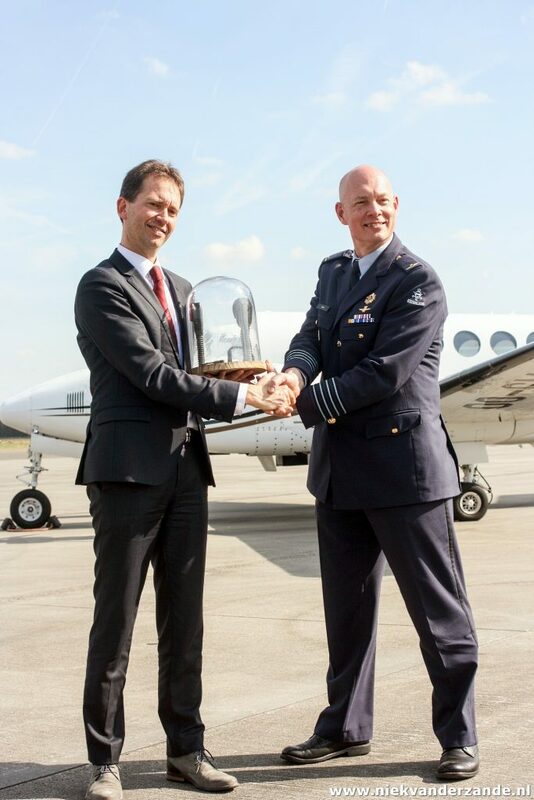 The 1st of May 2016 was a historical date for Twente Airport with the arrival of the first commercial flight since 9 years. 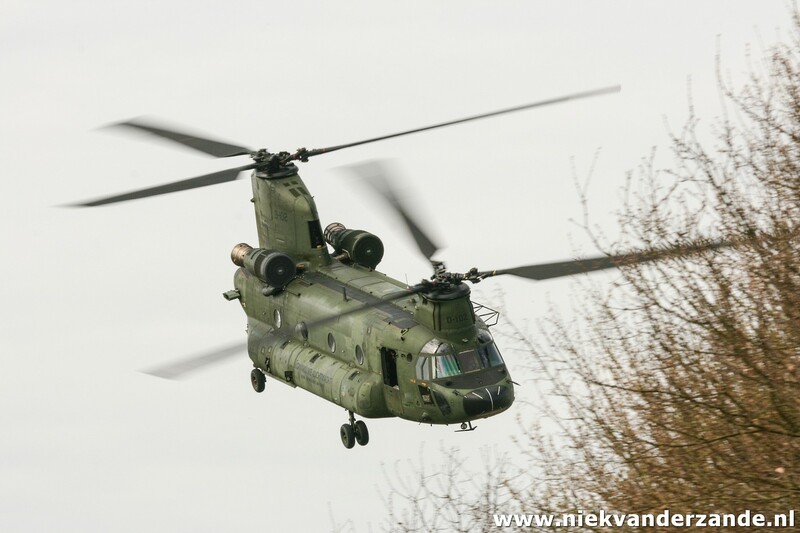 With the departure of the Koninklijke Luchtmacht on 7 December 2007 military use of the airport ceased. 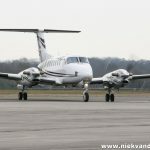 As of 1 January 2008 the airport has been closed for civil aviation as well, pending governmental agreement on the future of the airport. 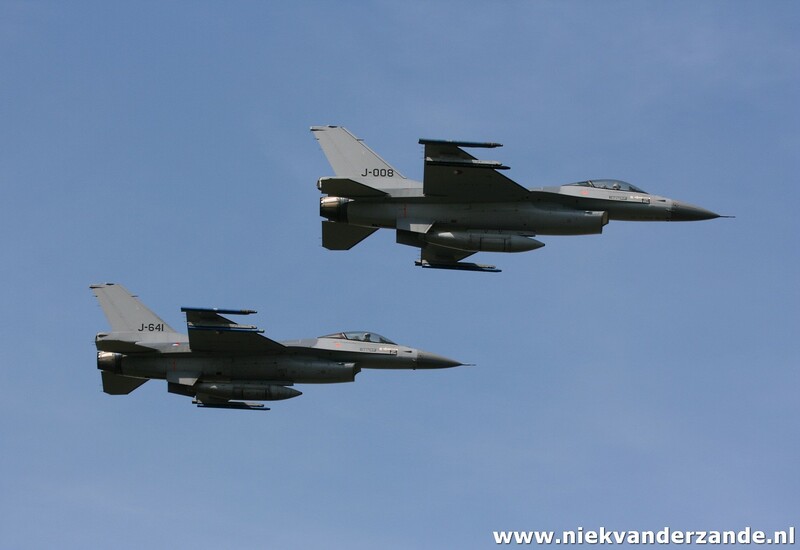 On 16 June 2010 the province of Overijssel agreed on a spatial plan including an airport. 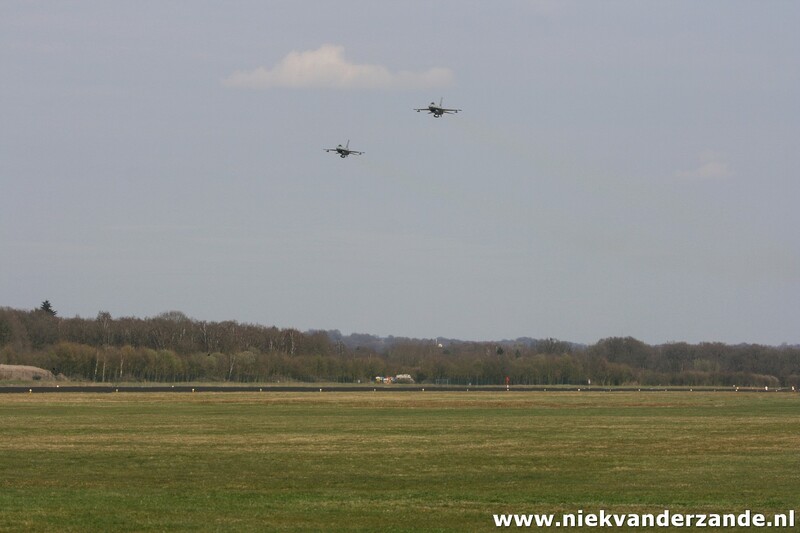 On 1 December 2010 the ownership of the airport grounds was transferred to the Twente region and the city of Enschede. 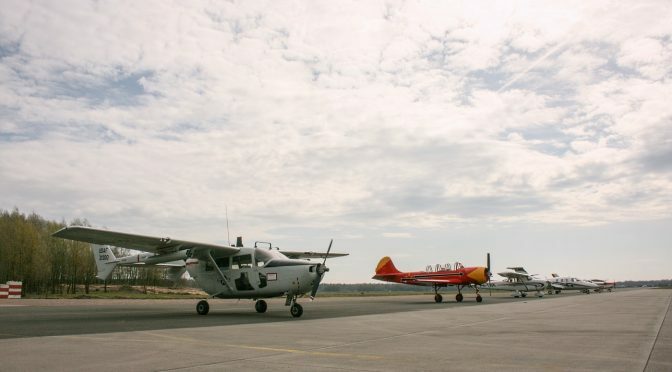 Though it was attempted to find a party interested in operating the airport commercially, it was announced on 4 December 2012 that despite three parties showing interest in this proposal, none of them made a bid to operate it. 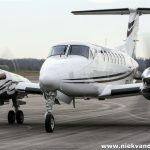 In March of 2014 the government proposed that the airport could re-open for General Aviation users in 2015, and commercial traffic in 2016. 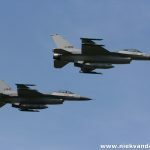 Movements would be limited to 22.000 a year under the proposal primarily for noise abatement. 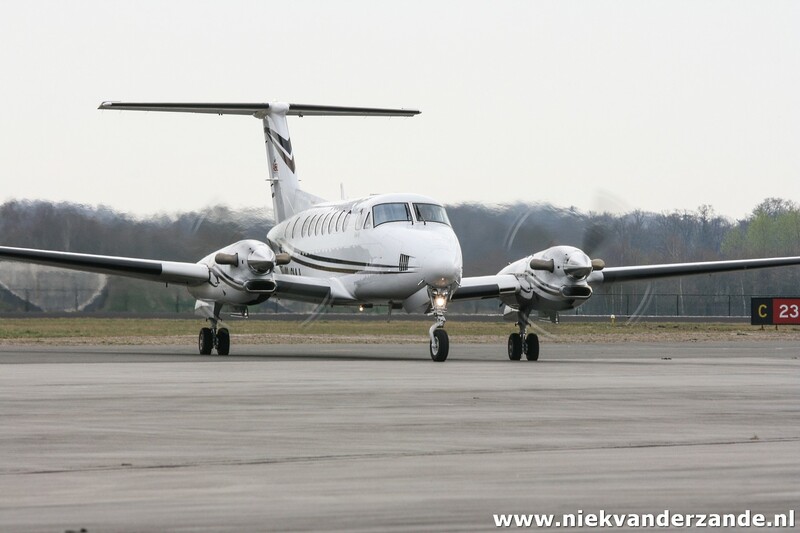 However, in June of 2014 both the provincial government and the city of Enschede abandoned the plan to re-open the airport for commercial traffic. The future of the airport remained uncertain. 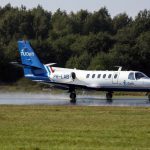 In August 2015 it was announced that Belgian aircraft recycling firm Aeronextlife intended to start using the airport to scrap aircraft. 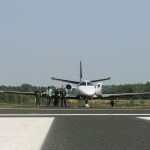 As part of the plan, Aeronextlife would become responsible for the costs of certain vital services required for airport operation, such as a fire fighting presence during aircraft operations. 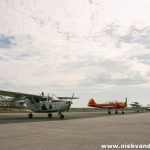 Besides the arrival of Boeing 737 aircraft for scrapping, additional traffic allowed at the airport include cargo aircraft to transport airplane parts, business charter aircraft of a number of operators that requested permission to use the airfield, a limited amount of smaller general aviation aircraft and gliders. 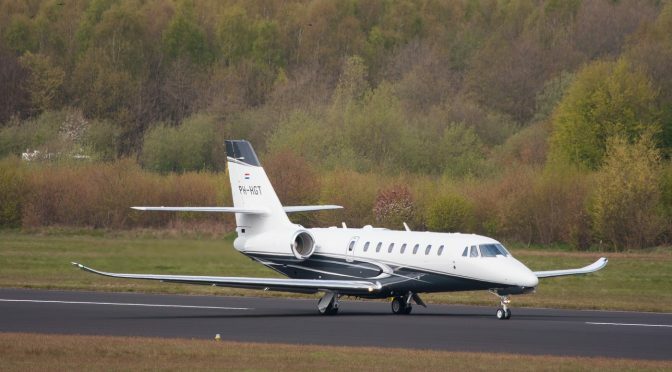 Approval was granted, and flights to Twente Airport resumed one the first of May 2016 with the landing of Cessna Citation Sovereign PH-HGT, owned by ASL – Air Service Liège, coming from Manchester, which departed for Aosta later that day. Plenty of enthusiasts were present on the newly erected spotters hill to witness this historical moment.